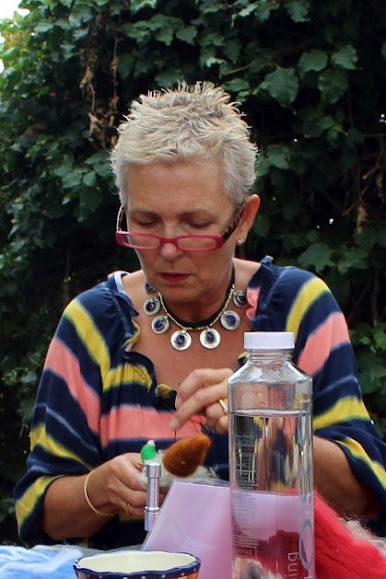 Wednesday morning craft group at the gazebo, September 12, 2012. 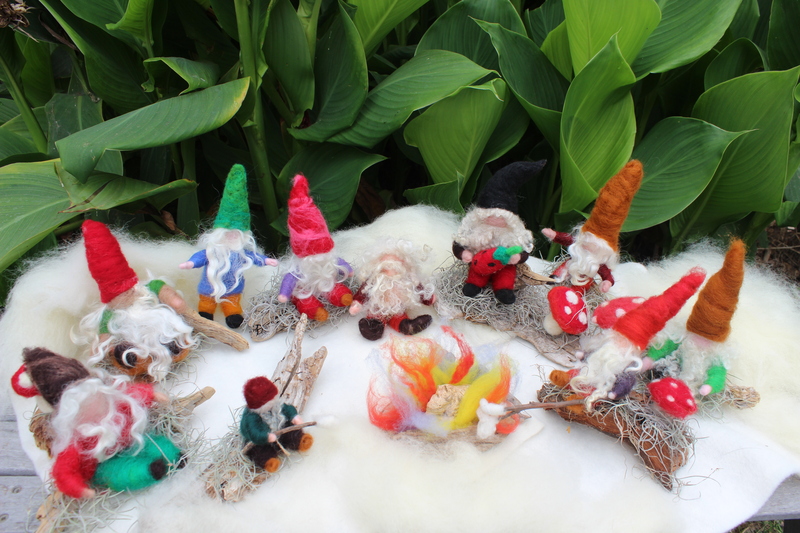 Due to the popularity of our gnome-crafting project last week, Christine agreed to show us all how to felt gnomes again this week. 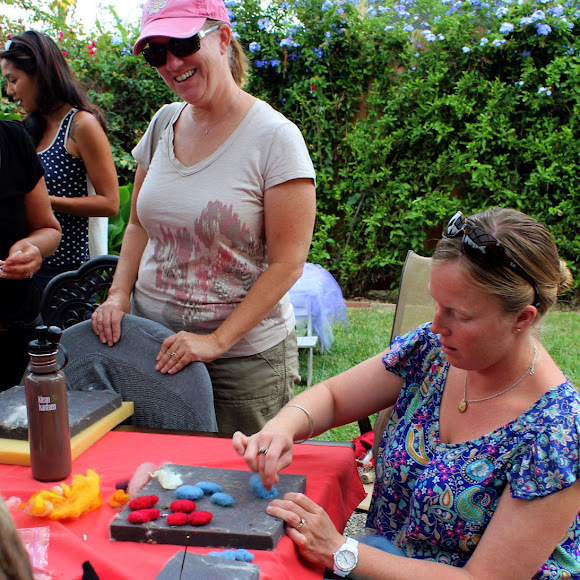 Check out the creations from this morning of crafting and socializing! 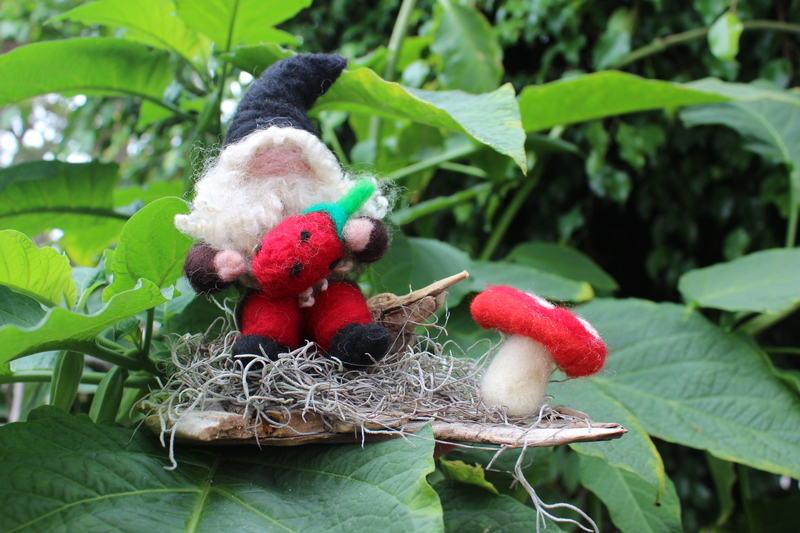 Cathrine’s gnome enjoying a scrumptious strawberry! 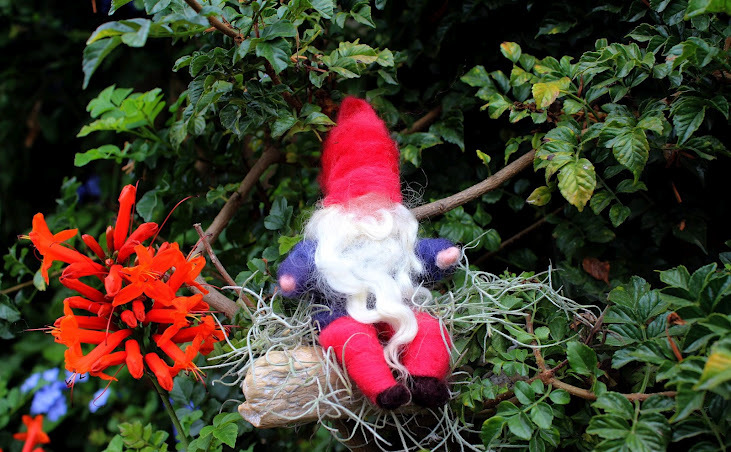 Luka’s gnome resting in his nest in the honeysuckle bush. Thank you Luka for letting me share your beautiful Instagram picture! 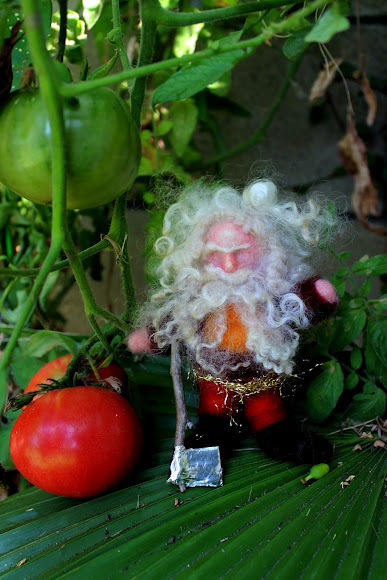 Here’s my handmade gnome, attempting to harvest (organic) tomatoes in my garden. 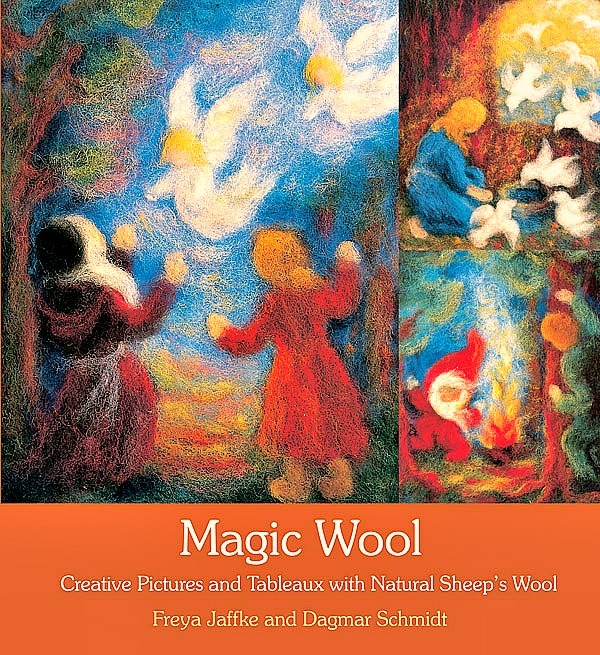 Felting with colored wool rovings is like painting with crayons, in 3D! …back view of this guy. 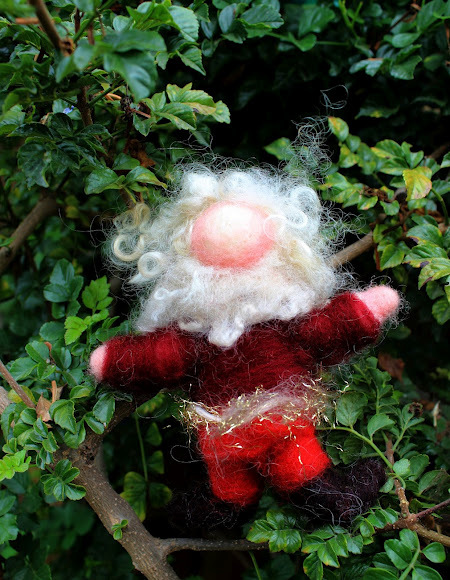 I know, I know, he’s the “glam gnome” with sparkly magic belt! I am drawn to glitter, sparkle and drama! I am so secretly in love with Cotswold locks and Tussah Silks! 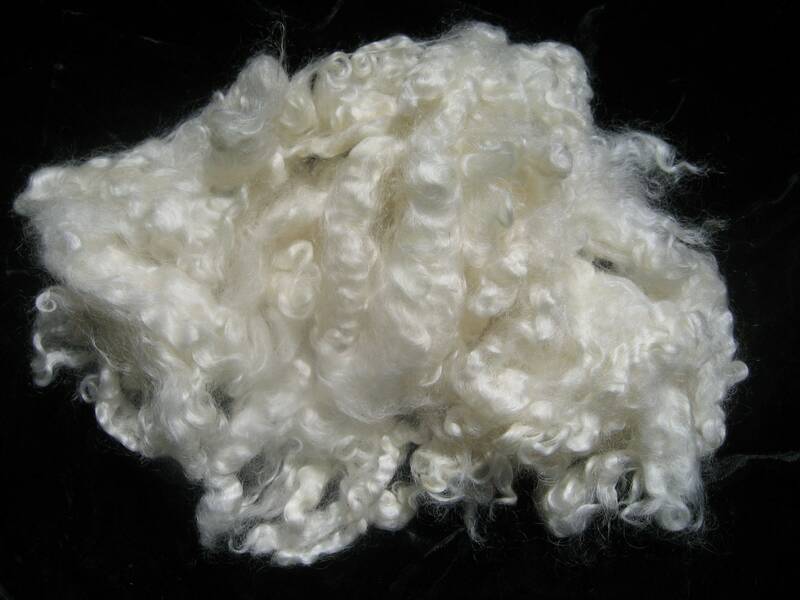 Cotswold wool locks. $5 a small bag from Piecemakers in Costa Mesa. Otherwise Etsy.com has them too. Hello, Bennie! 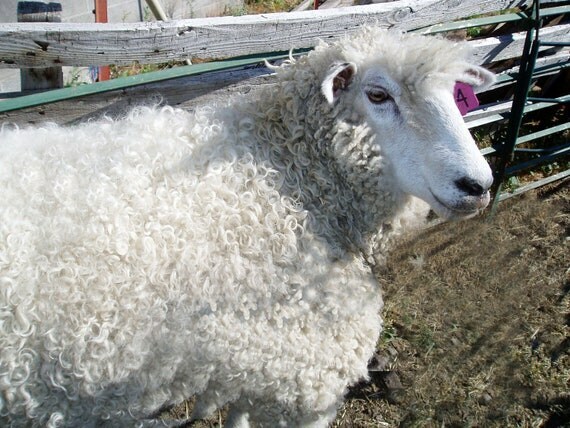 A Northern Californian sheep. Tussah Silks…how I love these luscious rovings of SILKs! I also used this as Ice Princess’s doll hair. Tussah or wild silk worms live naturally in tropical or semi-tropical forests. Their silk is gathered after the moth emerges. There are many varieties and shades of wild silk. As the caterpillars eat all kinds of different trees, all rich in tannin, the silk is beige to brownish toned. 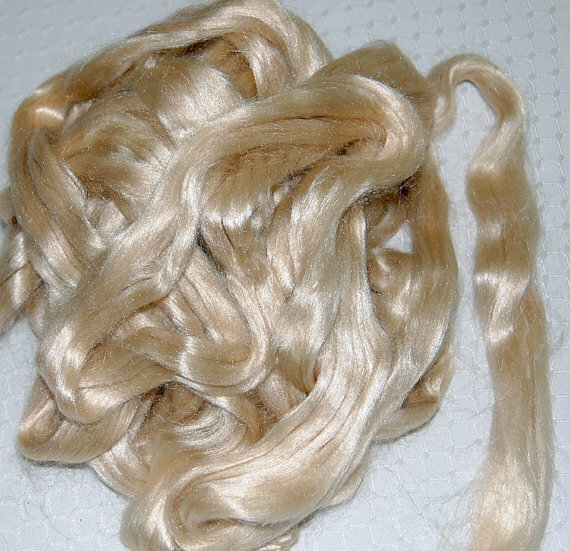 Tussah silks are wildcrafted and thus may be considered “organically raised”. They are naturally tan, and generally are stronger and more resilient than cultivated “white” silks. Tussah silk is available on Etsy.com, such as on LaTeaDaDesigns. I used this as doll hair for my Winter Nature Table Ice Princess. 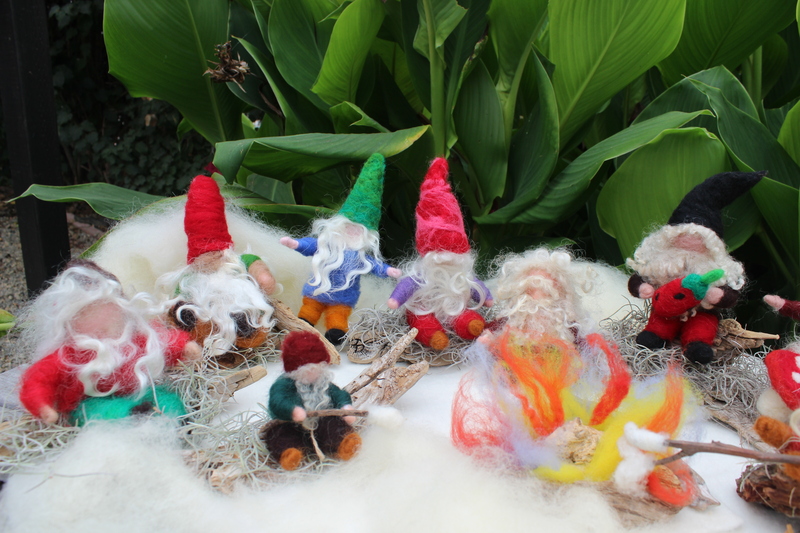 Gnomes roasting marshmellows by a firepit. 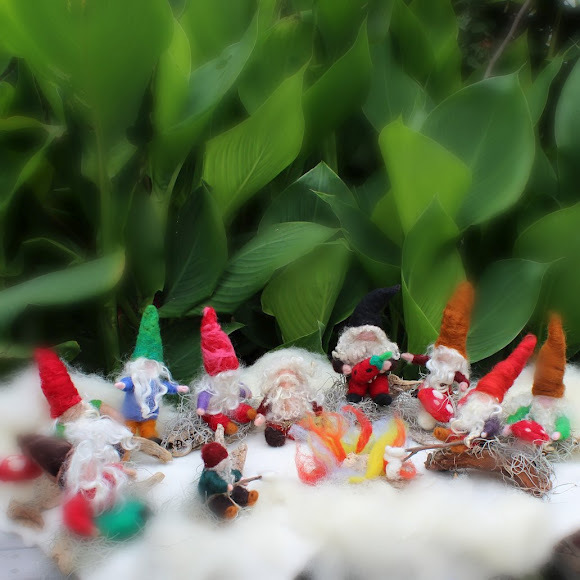 I can’t help imagining these little gnomes as avatars of our layered selves, communing over some sacred marsh-mellow roasting pow-wow. Now wouldn’t that be fun, if we could undress our skins and come together in new skins in a new planes at will…Oh, back to gnome crafting! Michaela, is sighted here, despite being very busy this year. Check out her curvy Waldorf rocker boards, they are awesome! 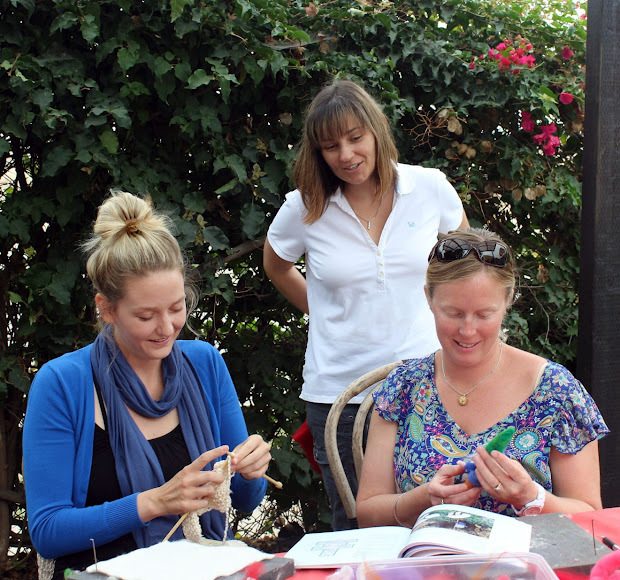 Thank you Rachel and Christine for organizing this fun and social crafting morning! Christine started showing us how to crochet beanie hats. 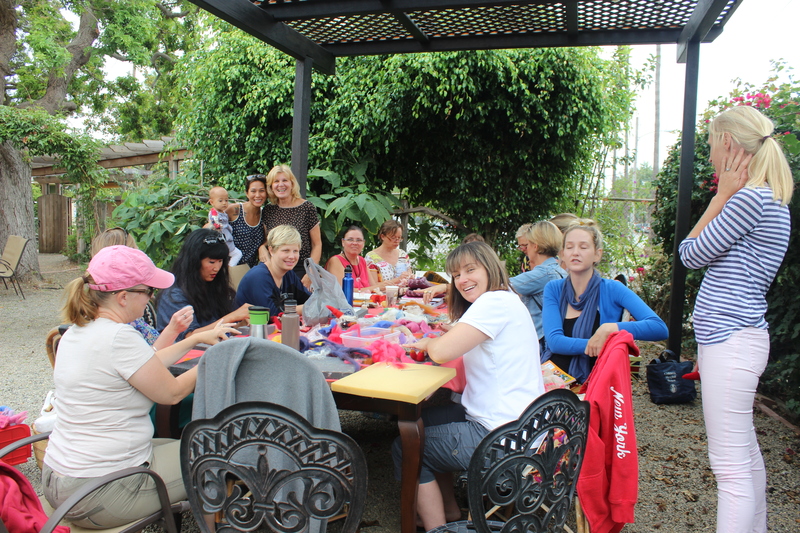 Some of us started felted painting. 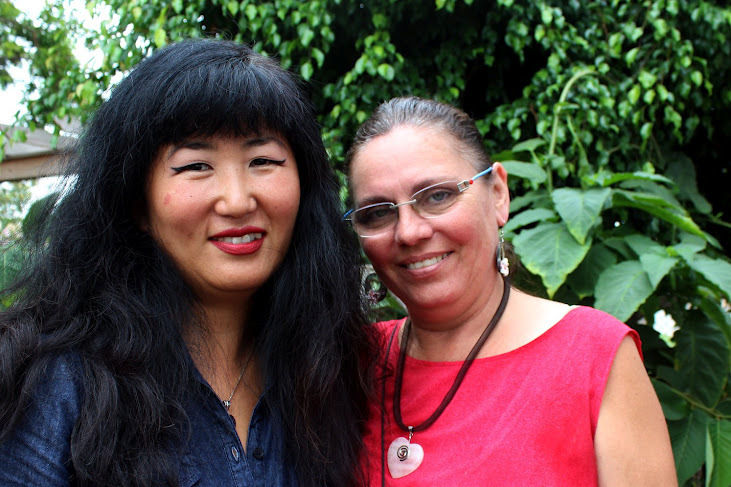 Gisela is new to our group. 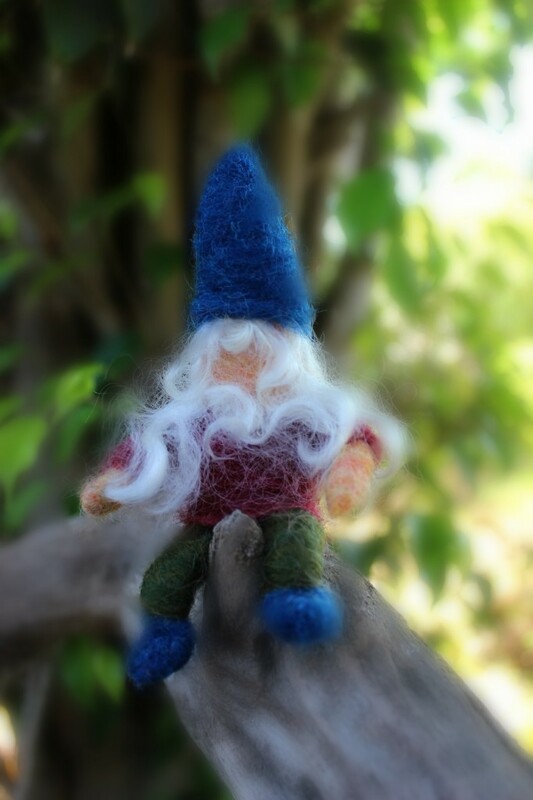 Welcome， Gisela！She started this felted gnome this morning. I kid you not, this gnome is a harbinger of greater things to come! 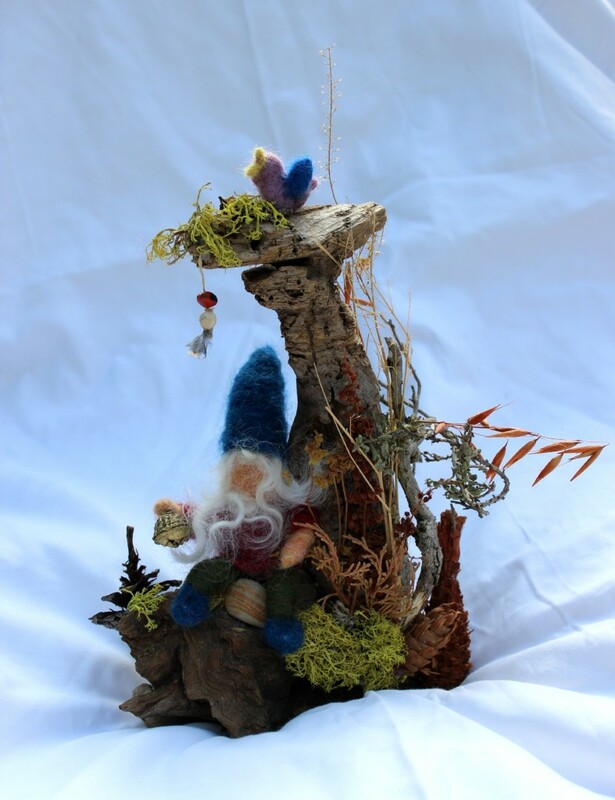 Gisela’s gnome. Look what Gisela brought in today! 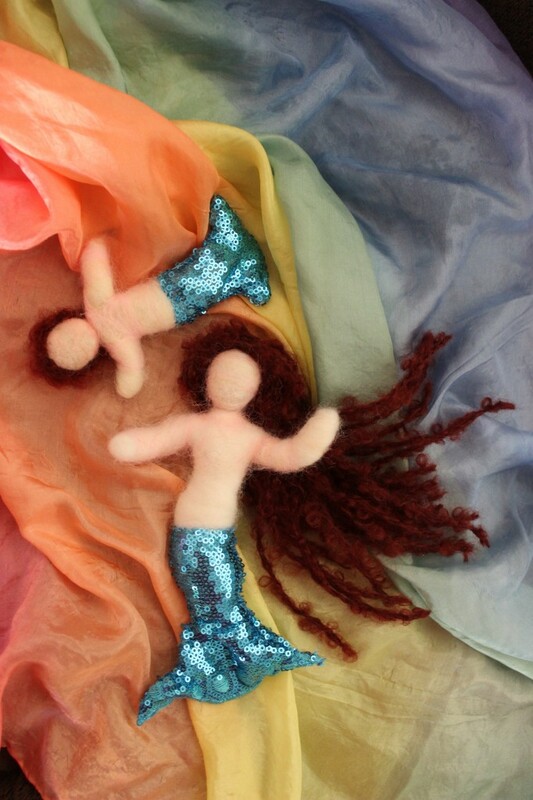 Gorgeous felted dolls! 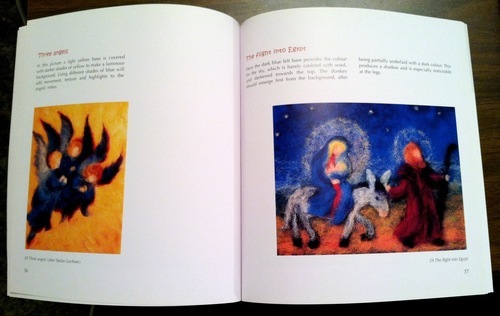 I had anticipated some great works of art, so I brought an old bed sheet to photograph the creations. 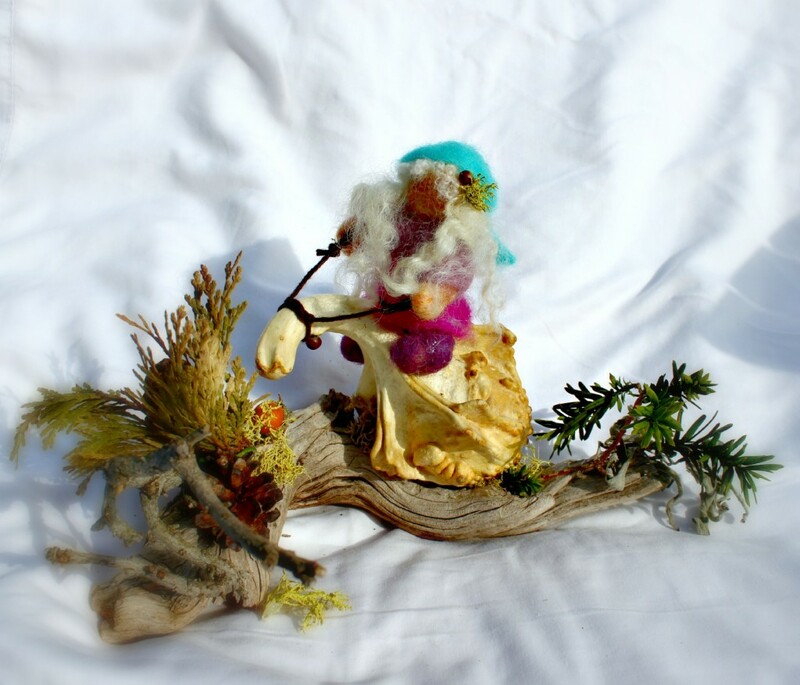 Gisela’s felted gnome on found treasures from nature! …with pine cones pre-nibbled by squirrels! 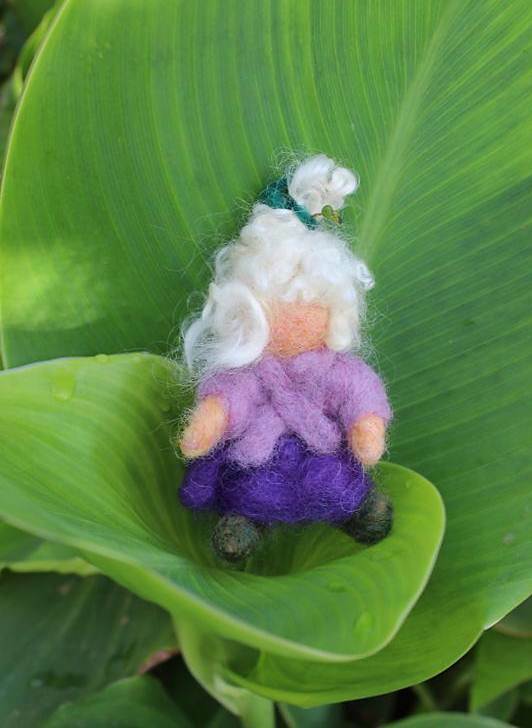 A felted little girl for her little girl. handmade by Gisela. Simply stunning, Gisela!! We were so impressed! They are in a world of their own, these little guys. Gisela also brought in a big bag of found drift wood, gnarled branches, termite ravished chunks of trunks, some from Lake Tahoe to share with us. Thank you Gisela! 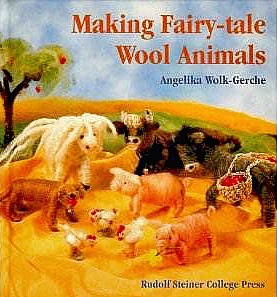 Making Fairy-Tale Wool Animals by Angelika Wolk-Gerche. A very sweet book. Inside, there is a tutorial on how to make needle-felted baby chicks hatching from real egg shells. I want to try that one. Alas! 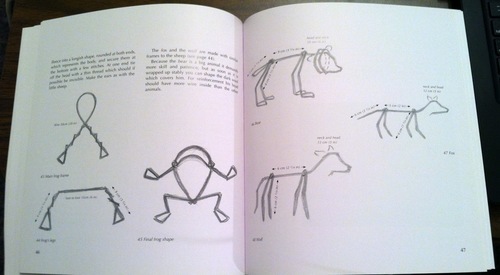 I think this book is out of print! 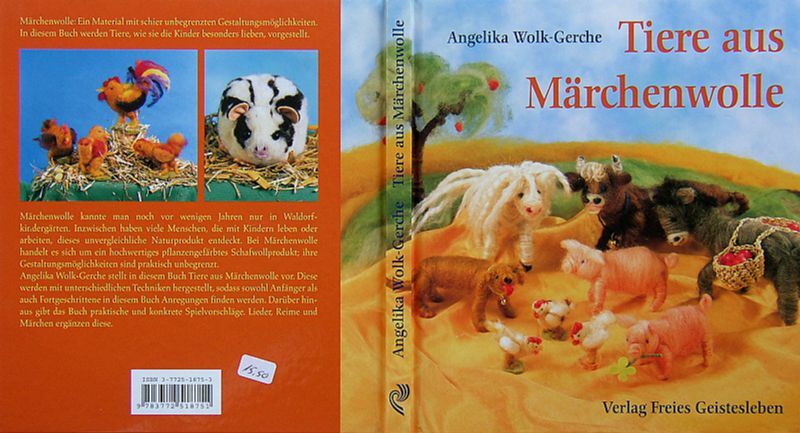 Tiere aus Märchenwolle von Angelika Wolk-Gerche. 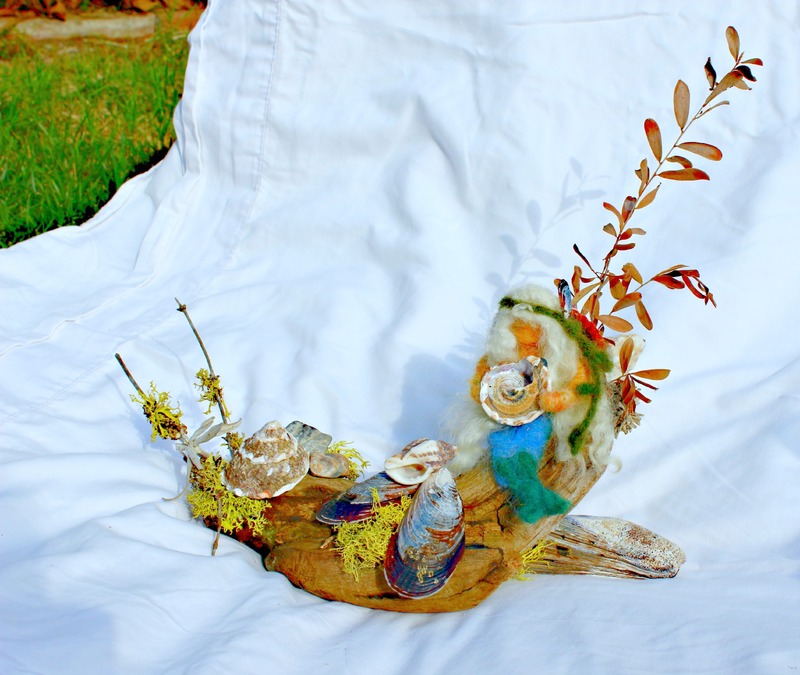 Check out our other craft group projects! 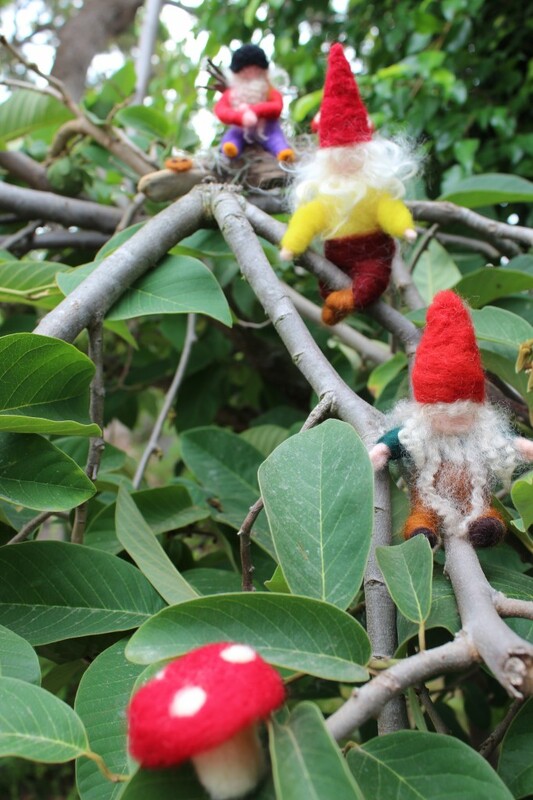 Click on photo below to see last week’s (September 5, 2012) craft group Gnome Felting projects. 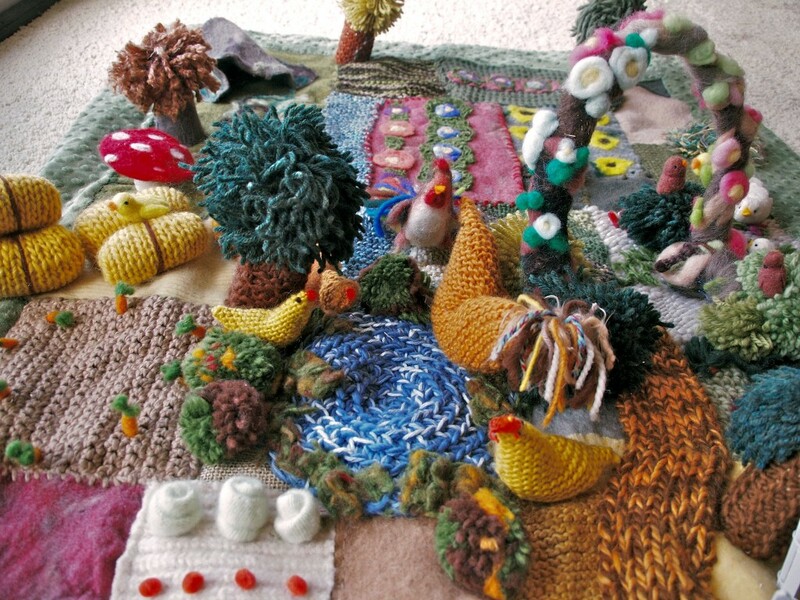 Knitted Farmyard…which won ribbons at the 2012 Orange County Fair, hooray! Click on image below to see more pictures. 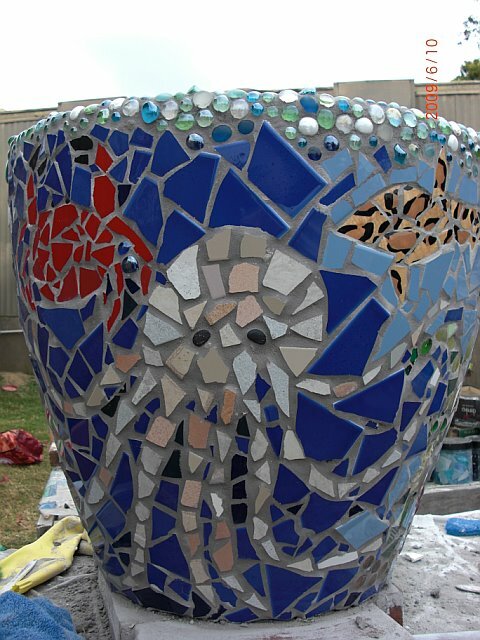 Under the Sea Mosaic group project led by Rachel, which earned the school some good moolah at the silent auction. Click on image below to see more. 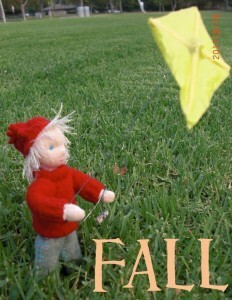 It was so much fun to felt, I made a few more dolls the very next day after our first gnome-fest ! You just crack me up! 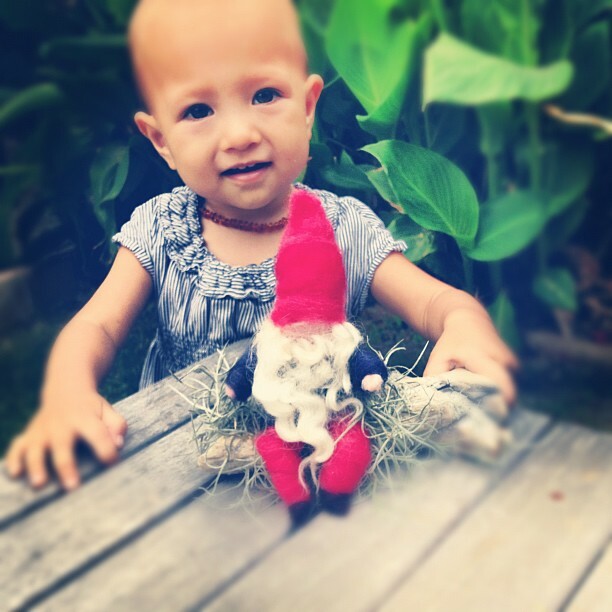 Look at your gnome! Eyebrows, nose, and a mustache! He is lookin’ real good! Love that hip belt on that brawny gnome. Anyone for tomato jam?